What are the opinions of younger shoppers about consignment and resale? Do they enjoy the treasure hunt as much as other generations? Are they just looking for a good deal? Now’s the time to court younger consignment shoppers. Appeal to them and you’ll have shoppers for many more years to come. Today’s youngest Americans will be a generation without definition, at least that’s what they’re hoping. Most “experts” agree Generation Z includes anyone born after 1997. As a result, the oldest are just coming into real buying power. Theirs is the most diverse generation our country has ever known. They resent being given labels such as the “social generation” or “digital natives.” It will be interesting to see if they can avoid being lumped into one bucket. What will their incredible diversity mean for their shopping habits? Marketing trends? Or, their interest in social and political events? Only time will truly tell. Generation Y, also know as Millennials, are well into their 30’s. In fact, older Millennials are close to 40. Unfortunately, they have been lumped into one big ugly bucket. Labels like “Entitled,” “Everybody Gets a Trophy,” or “Boomerangs” (because they return home to live) have been slapped on them. This generation has not fared well. High college debt and job market troubles have caused many to delay big ticket purchases such as cars or homes. They’re value driven, but do they care enough to go out of their way when purchasing? When it’s time to buy, what really motivates them? A recent Nielsen report concluded younger generations, especially Millennials truly are concerned about preserving the environment. The survey found “83% saying it mattered greatly that companies take steps to improve the environment, while 75 percent said they would alter their habits” to patronize a business that was ecologically concerned. In light of the huge amount of textile waste in fast fashion, younger consumers are especially open to shopping consignment and resale. Generation Z has never known a time without the internet. As a result, everything they do is played out on social media. Whether it’s food they’ve eaten, special activities or purchases they’ve made, they’re telling the world. Tap into that skill. Begin using their own User Generated Content. Let them see themselves in your marketing and social media posts. Recruit an older teen to write a blog for you. 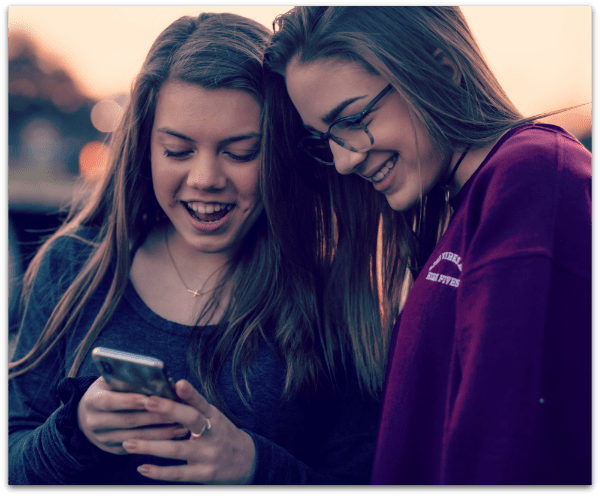 According to Inmar Research, 77% of US teens said they liked ads “that show real people in real situations.” It’s not surprising that advice from others would be the greatest purchase influencer of the 18 to 32 crowd because they are among the highest users of most social media. In fact, word of mouth ranked highest for this age group in every category researched, including apparel and big-ticket purchases. Just because these younger generations have nimble fingers, doesn’t mean they do all of their shopping online. eMarketer reported 73% of Millennials and 75% of Gen Z do use their smartphones for some part of the shopping process. Whether it’s researching a company or their products; learning the latest trends; ordering merchandise or killing time, they’re on their phones. However, the majority still enjoy going to brick and mortar stores for the shopping experience. They love fun, live events. Consider an out-of-the-box partnership with another one of their interests. Sustainable goods, food & beverage, tech gadgets would all make interesting partnerships. 4.) Loyalty is hard to earn and hard to keep. Start now. Like in every aspect of our lives, loyalty is not easy to come by. It must be earned. Younger consignment shoppers have more options, more information and less patience. Unfortunately, younger consumers are also less forgiving. Once you’ve lost their trust, it’s nearly impossible to gain it back. Authenticity, transparency and consistency are going to gain their following. If they shop you because you’re good for the environment, make sure everything you do reinforces that message. Offer cloth shopping bags and give a discount when shoppers bring them in. Emphasize your efforts to minimize waste. Provide recycling areas. Younger generations always want to separate themselves from the pack. They typically want first crack at exclusive merchandise and experiences. Of course, they also crave attention, especially in a world where it’s hard to get. Consignment shops can offer these generations the best of both. Give them attention by featuring them in local fashion shows. Offer discounts that give them instant gratification rather than the need to earn points. Get them talking. They love to give feedback and eagerly desire to be a part of the process rather than just the end user. If you want to reach this market, forget Facebook. 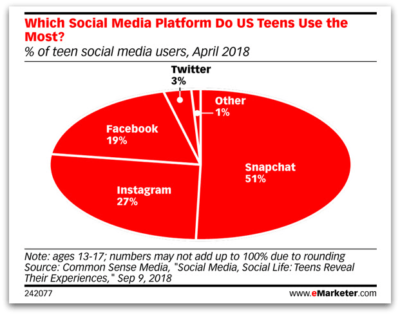 Gen Z and Millennials are searching Snapchat, Instagram and YouTube. Communicate with them in short, quick announcements. Use emojis as part of your marketing. Look for ways to personalize and add emotion to the message. Definitely use video whenever possible. Generation Z is also extremely entrepreneurial. Many have already found ways to monetize their obsession with social media by creating online businesses, Instagram personalities and YouTube tutorial videos. Generation Z tends to be financially conservative. They’ve seen the troubles their older siblings and parents have had with unbridled debt. As a result, they’re looking to save money. According to Forbes, “roughly 55% of the Gen Z population is increasing the amount of time spent in dollar stores…about 40% say they’re spending more time in consignment shops.” According to Total Retail, because Gen Z is “price sensitive” be sure you’re offering “incentives to encourage larger orders, such as “packages” or deals.” Your salespeople need to be experts at cross-selling. The best way to understand these 2 up and coming generations is to hire them to work in your shops. Get them involved with the process and enlist them to be brand ambassadors. Your future success may depend on it.